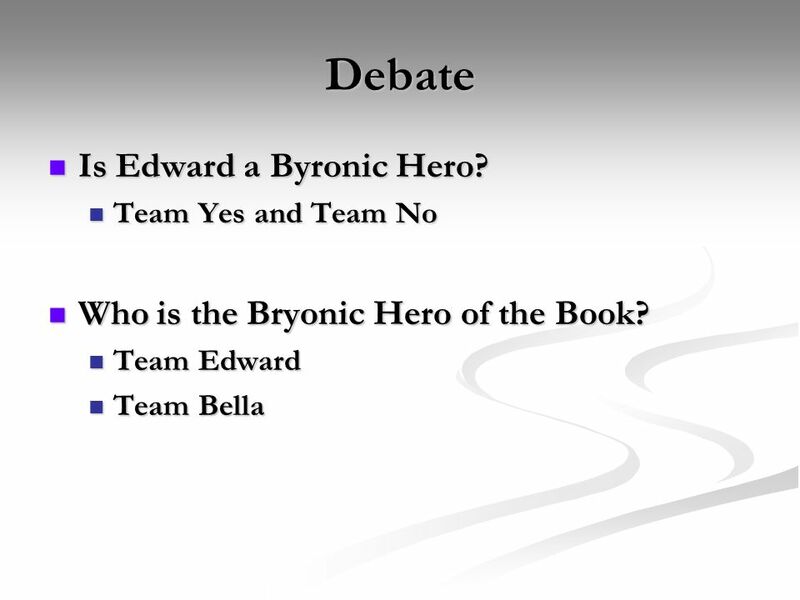 7 Debate Is Edward a Byronic Hero? 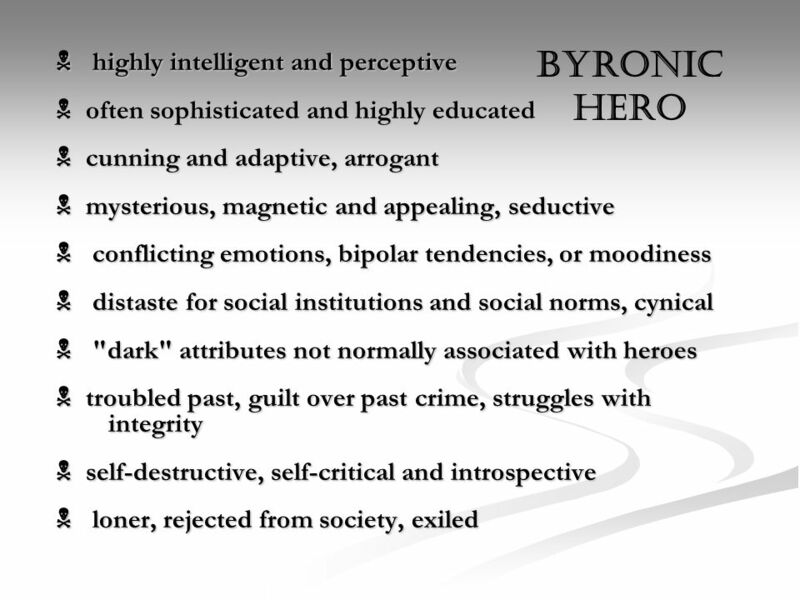 Who is the Bryonic Hero of the Book? 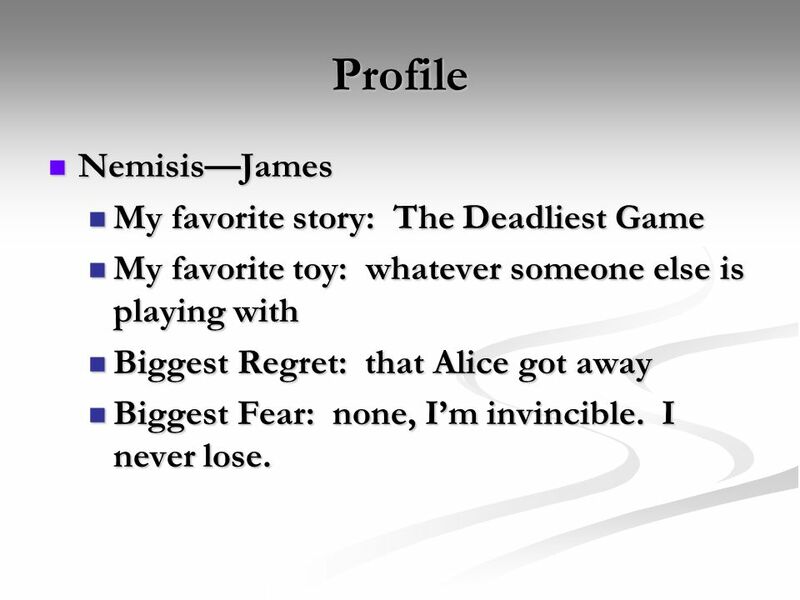 My favorite toy: whatever someone else is playing with Biggest Regret: that Alice got away Biggest Fear: none, I’m invincible. 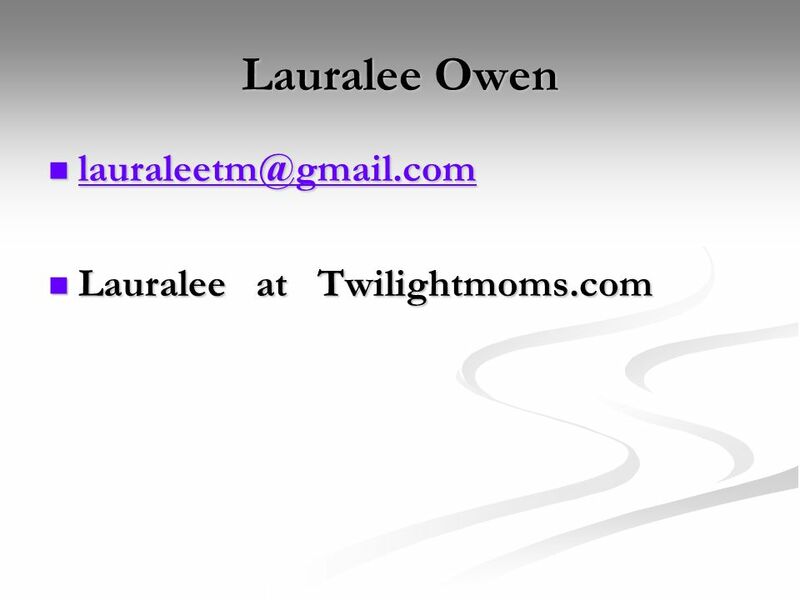 I never lose. 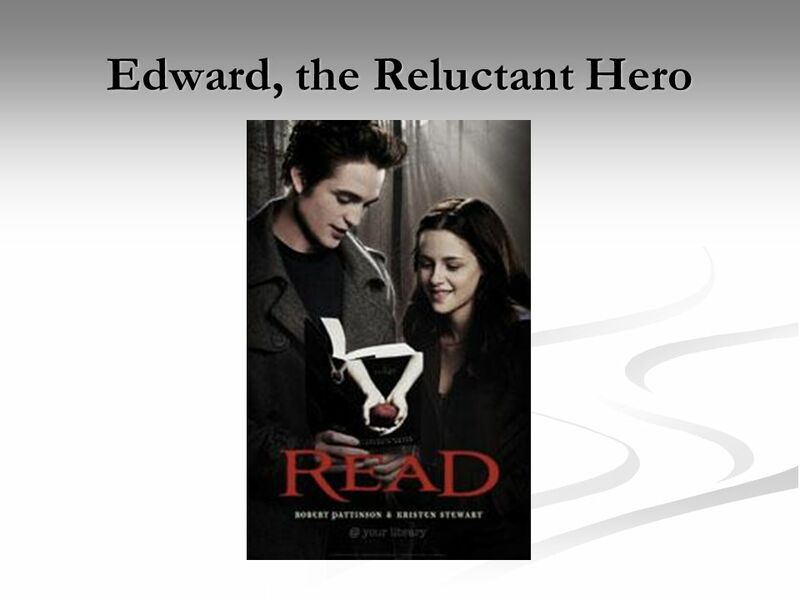 Download ppt "Edward, the Reluctant Hero"
First we need to know what an epic is! 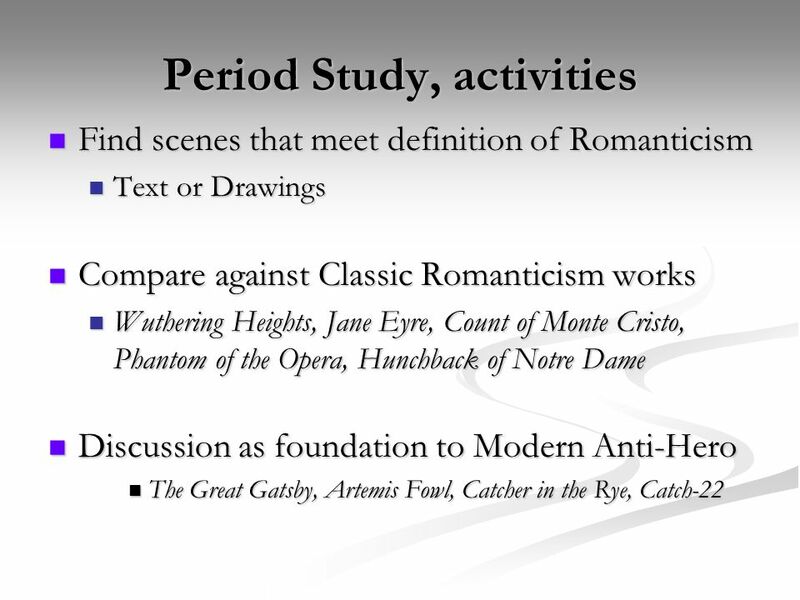 Jane Eyre Charlotte Bronte. Facts and background Written in 1854 Charlotte Bronte – daughter of a clergyman, imaginative, educated, some parallels with. 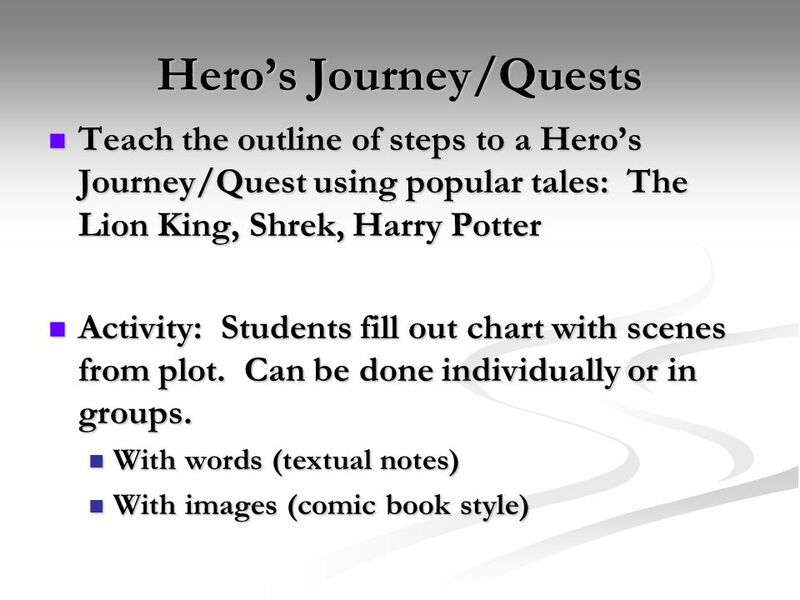 The Hero’s Journey The Structure of an Epic Tale. 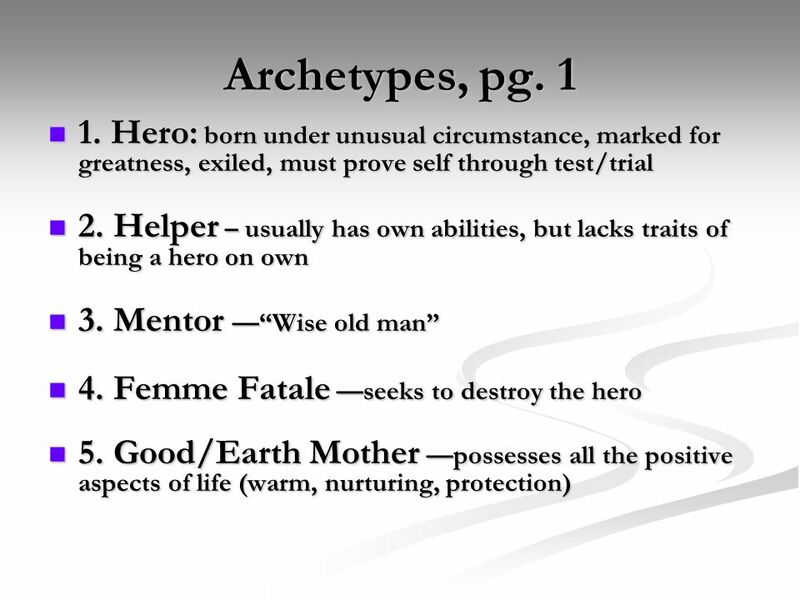 The Six Archetypes 1.Mentor 2.Threshold Guardian 3.Herald 4.Shapeshifter 5.Shadow 6.Trickster. Today: O No Journal Prompt O Resume your groups from Monday/Tuesday O Grab your supplies and finish your poster as a group O Individually, write the 1. 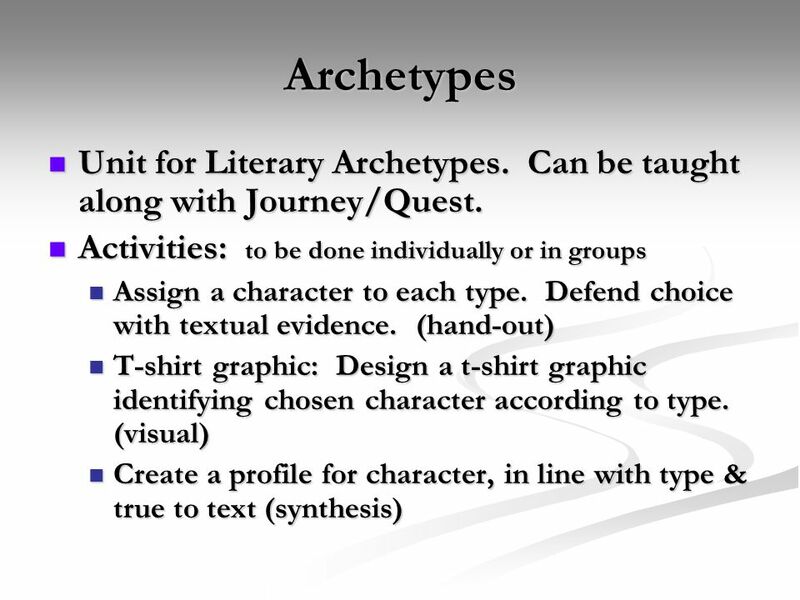 What is an archetype? 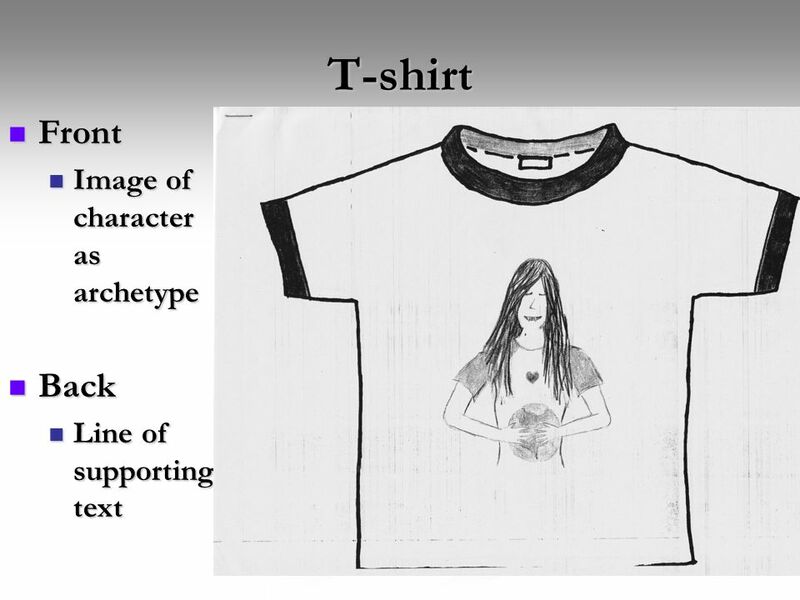 It describes the role that a character plays in a story. 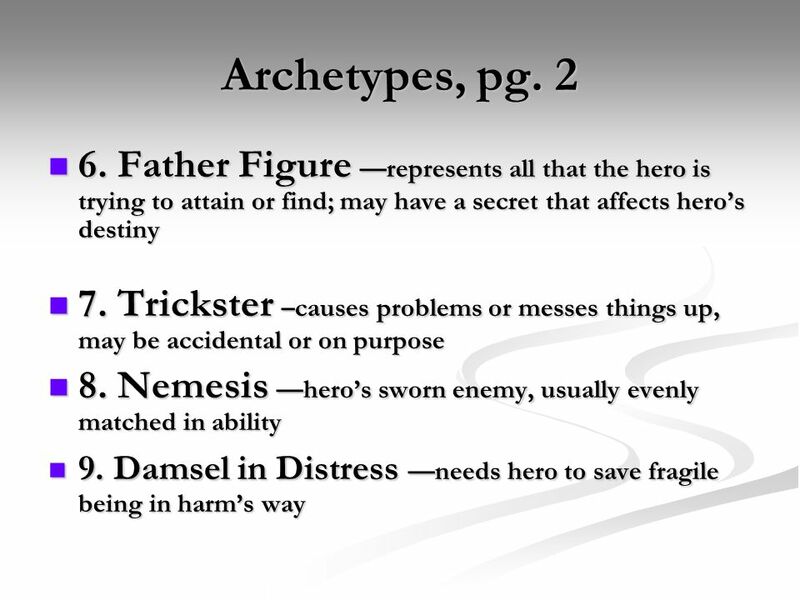 Think of a archetype as kind of like a mask that a character wears. 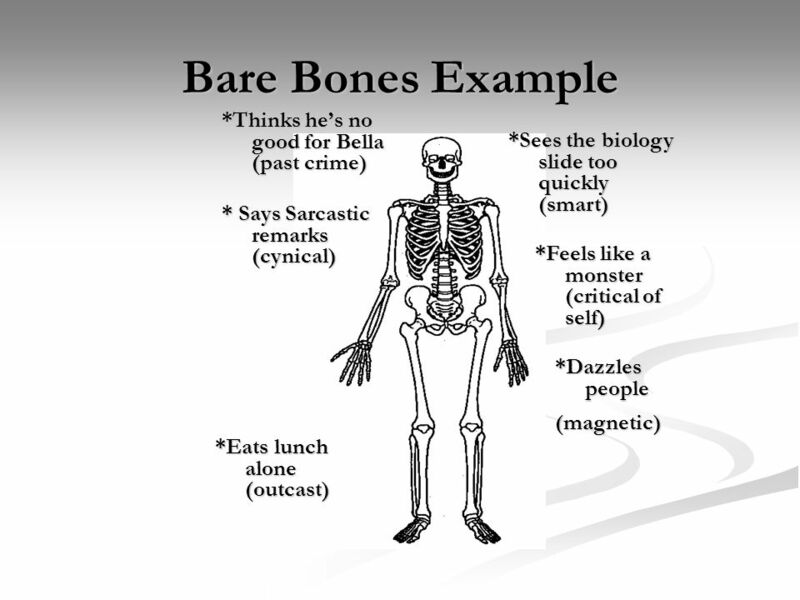 Some. 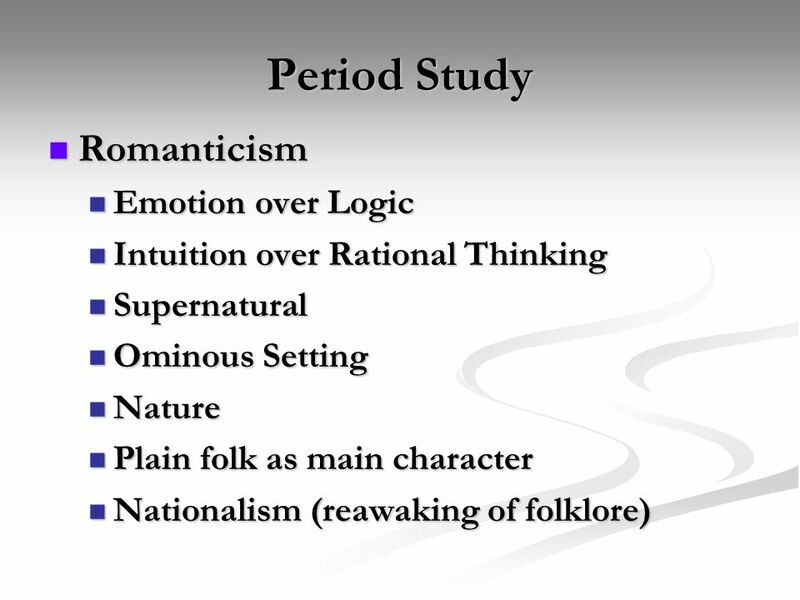 Joseph Campbell American Mythologist and Writer His theory: “All mythic narratives follow a common pattern regardless of their time of creation.” “The. Remember all that hero stuff from last year? It’s back!!! 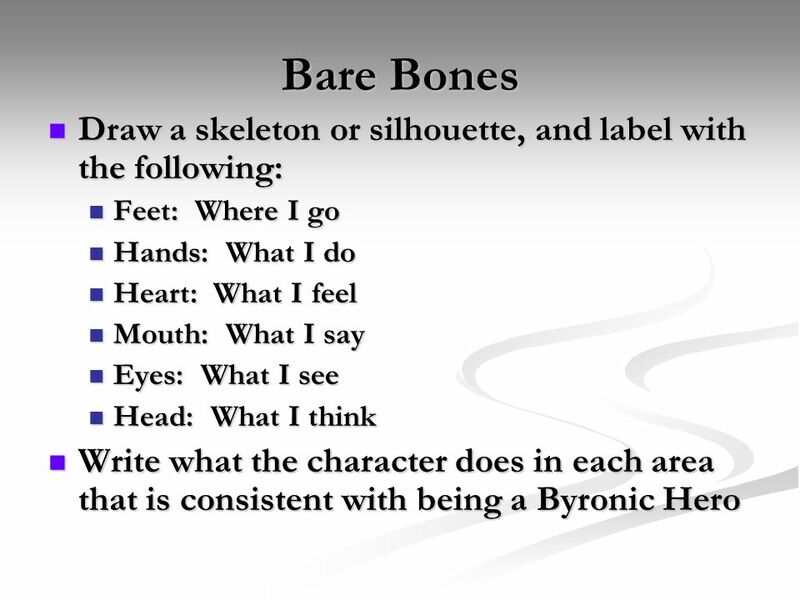 1  Game story design  Game levels design  Fitting game levels into game story Game Design. 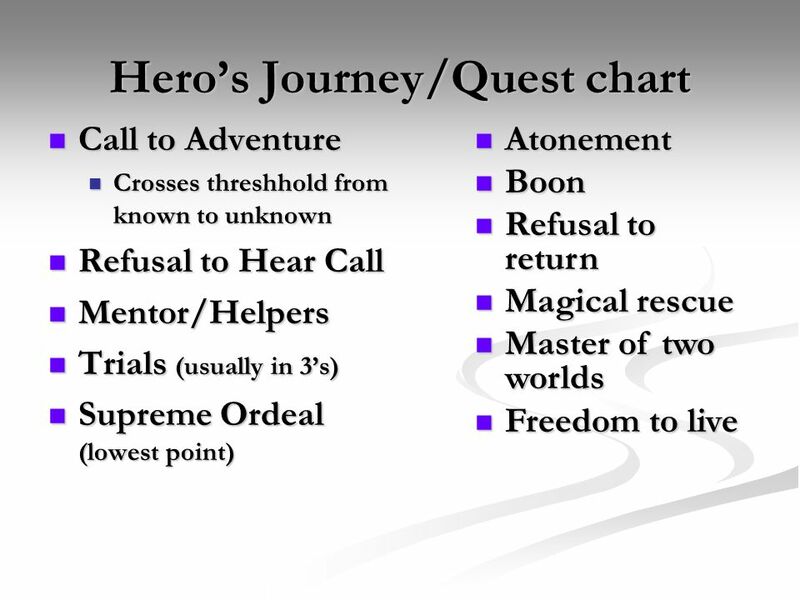 A HERO’S JOURNEY THERE ARE TWELVE STEPS IN THE HEROIC QUEST. 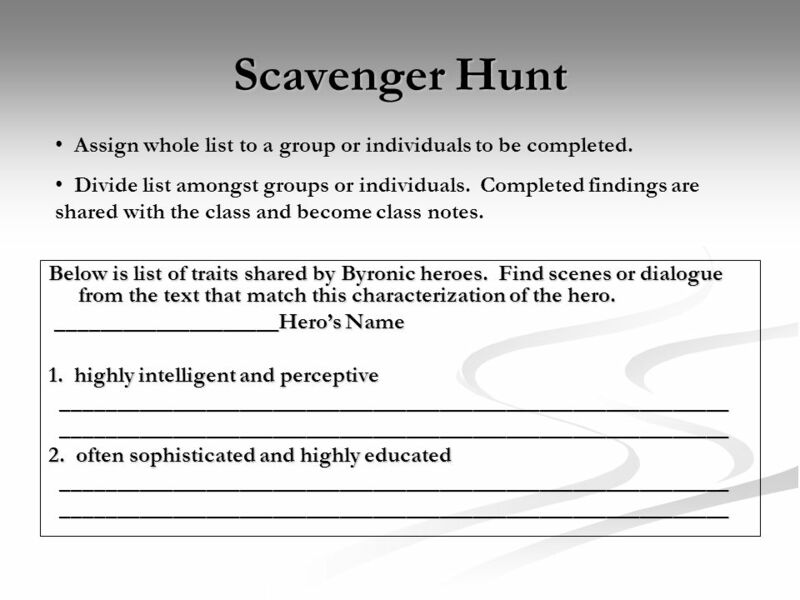 Odyssey Journal #2 What is a hero? Who are your heroes? What is it about these people that makes them heroic? 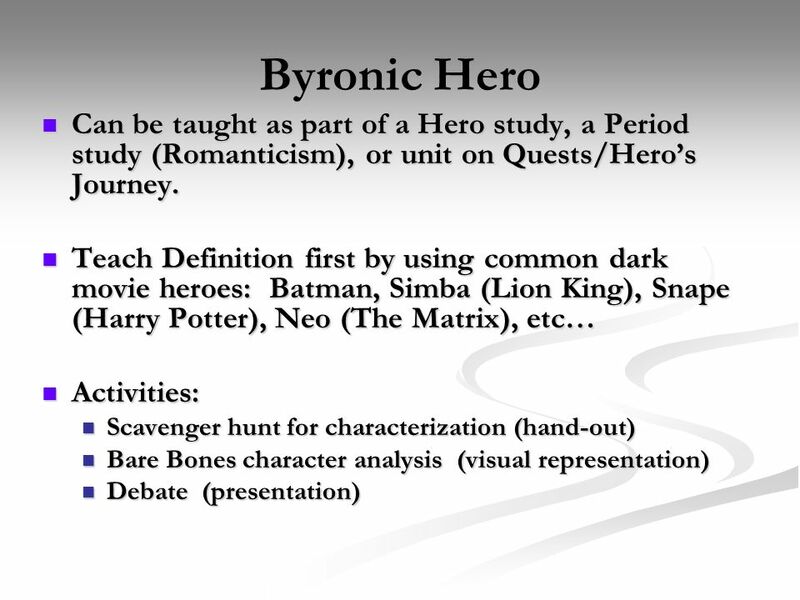 Can anybody become a hero?